A smaller version of our Original Donut Box. 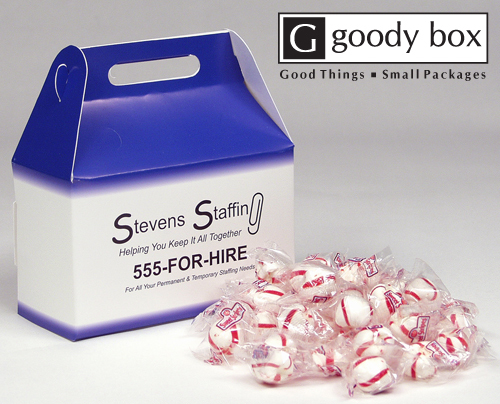 Have fun filling these small packages with all sorts of goodies for you promotional needs! 6 1/2" x 7" x 3"